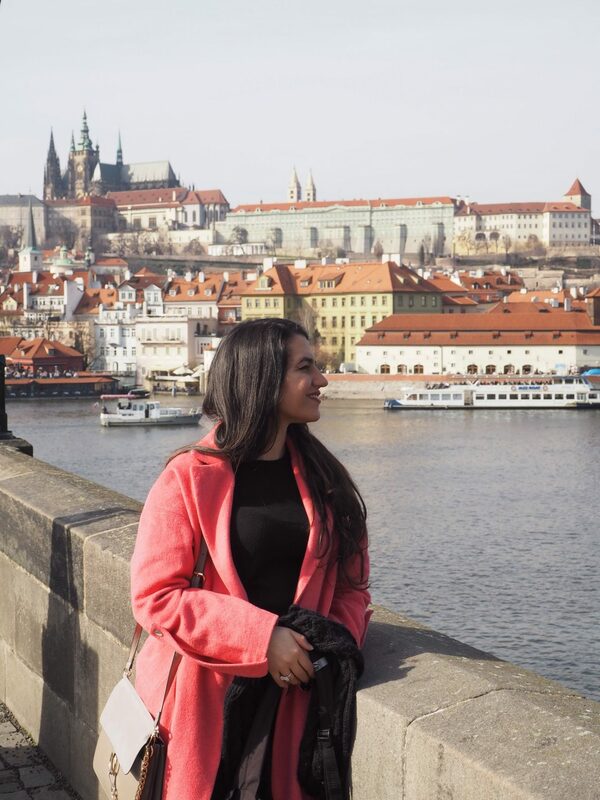 Happy May peeps – I deserve a good scolding as my list of scheduled posts is still never ending and I’m actually feeling overwhelmed by the accumulation of blog work I’ve given myself… Will I ever make it to the finishing line?! 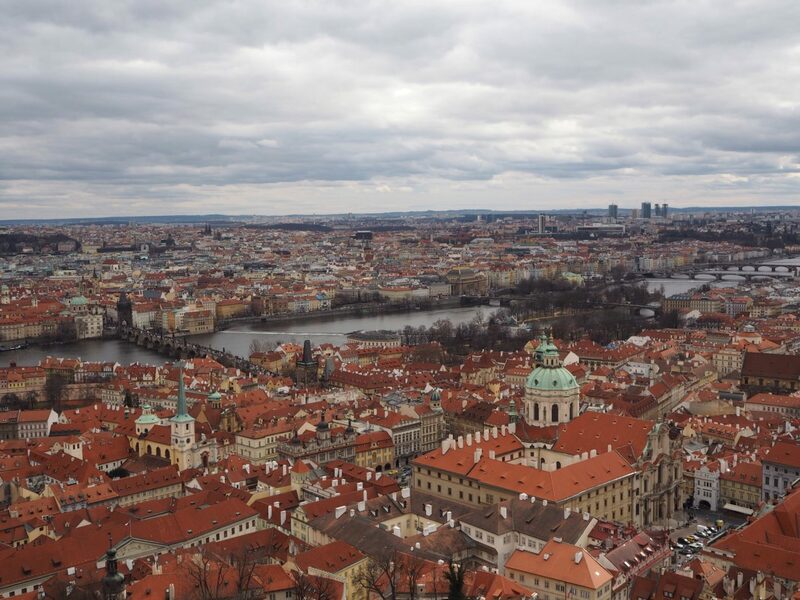 Well this is me trying – so even if this trip happened over two months ago, I can’t not talk about the beautiful city of Prague in the Czech Republic! 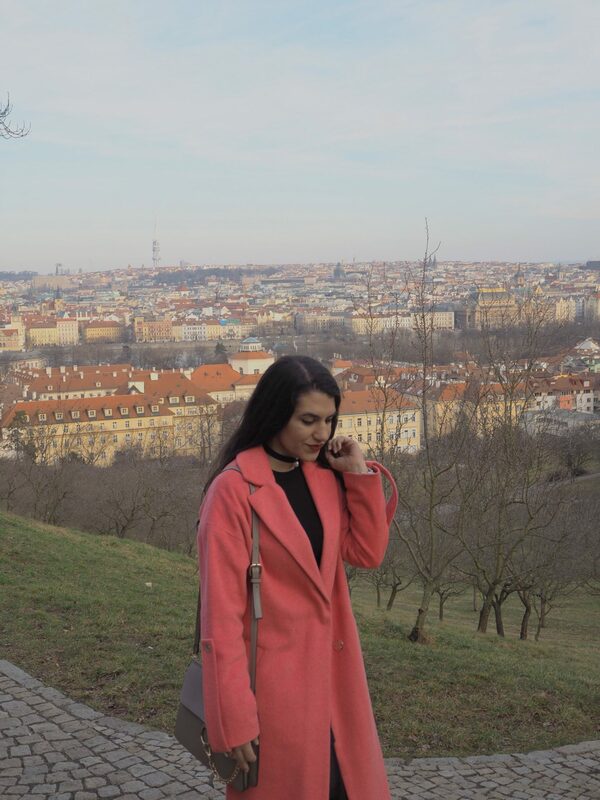 Prague has obviously been on my list of places to visit for a long time, so at the beginning of this year my boyfriend and I decided to go there in March for 48 hours. 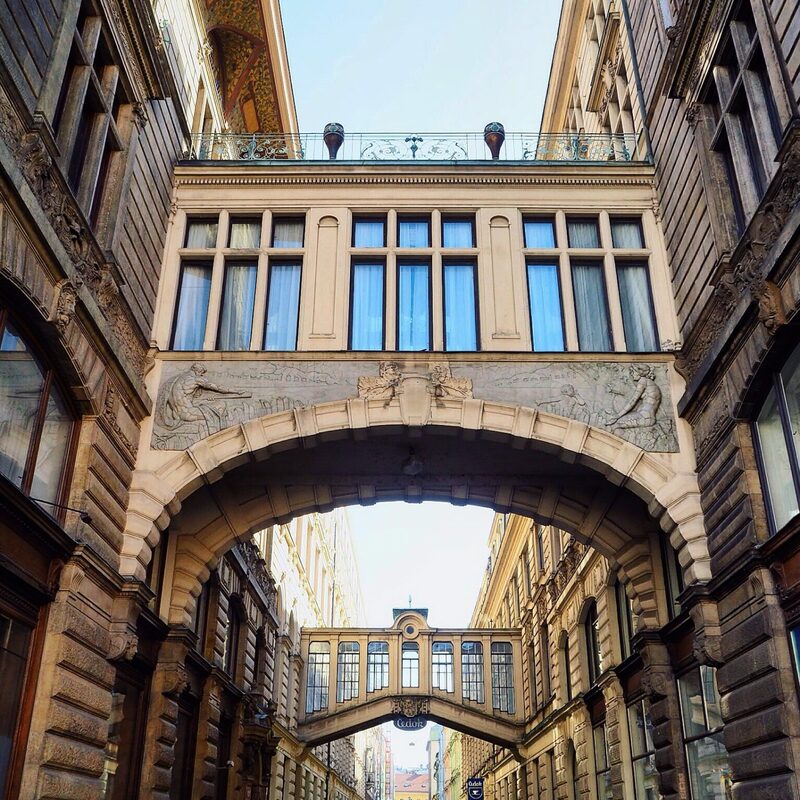 We got there on a Friday night and left on Sunday evening – a quickie indeed but more than enough time to fall head over heels for this magical city. 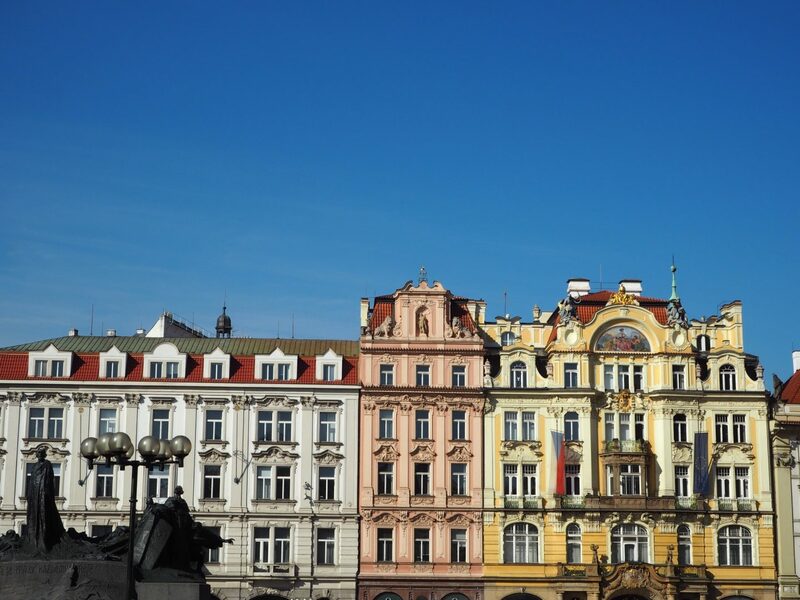 Soke up the city’s striking architecture: You don’t have to love pastel shades in order to enjoy Prague’s gorgeous buildings (it helps though). 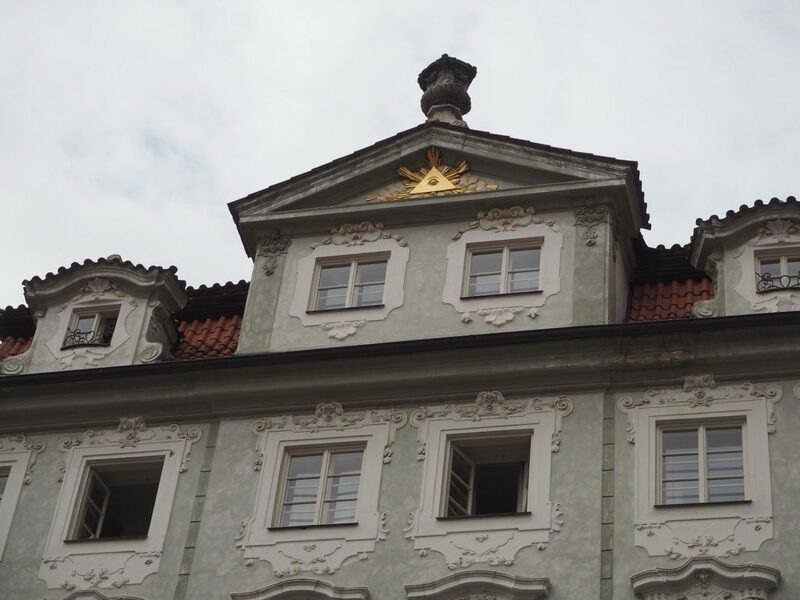 There are so many intricate and historical details to be spotted – I could have and pretty much did spend two whole days photographing as much of them as I could. 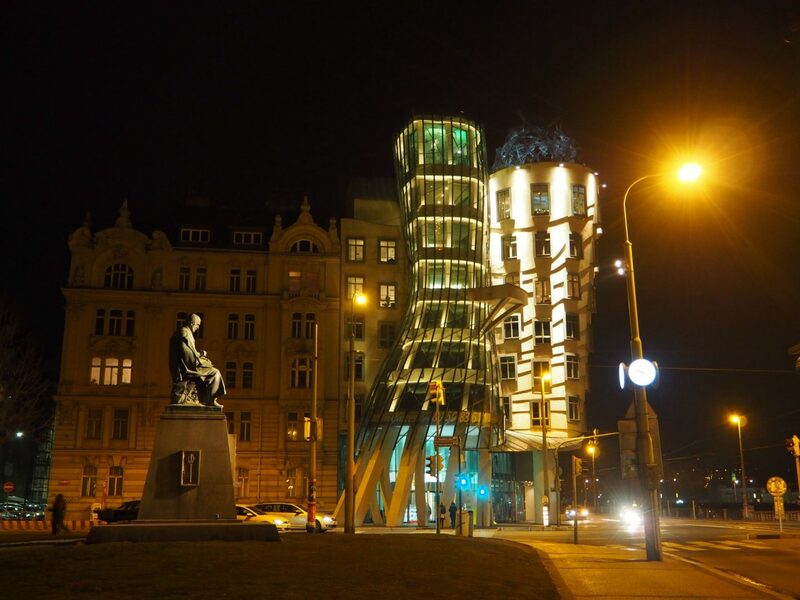 But it’s not just about the old – seeing Prague’s dancing building at night was lovely. 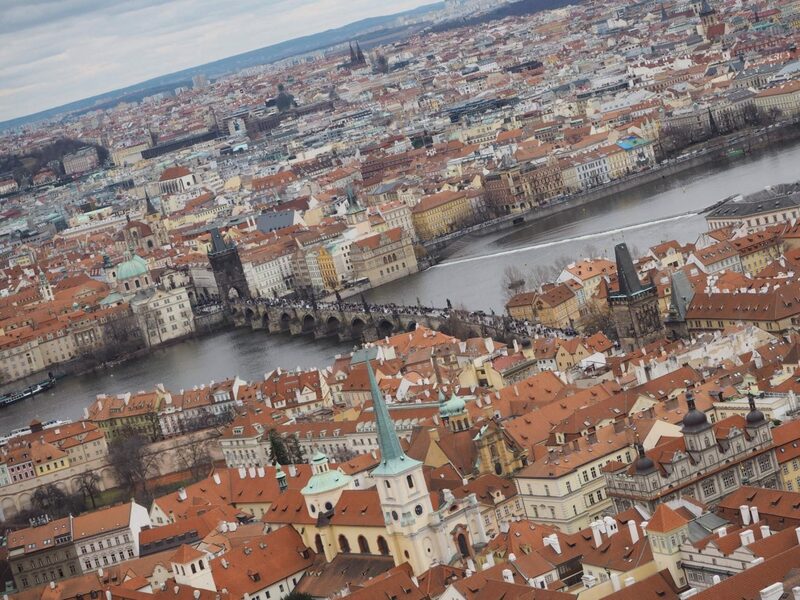 Enjoy the views on Charles Bridge: Yes, it’s extremely crowded and touristy, but it’s not only necessary to cross to see some key parts of the city – it’s also perfect for getting some great views of Prague and feeling like you are in a fairy tale town. 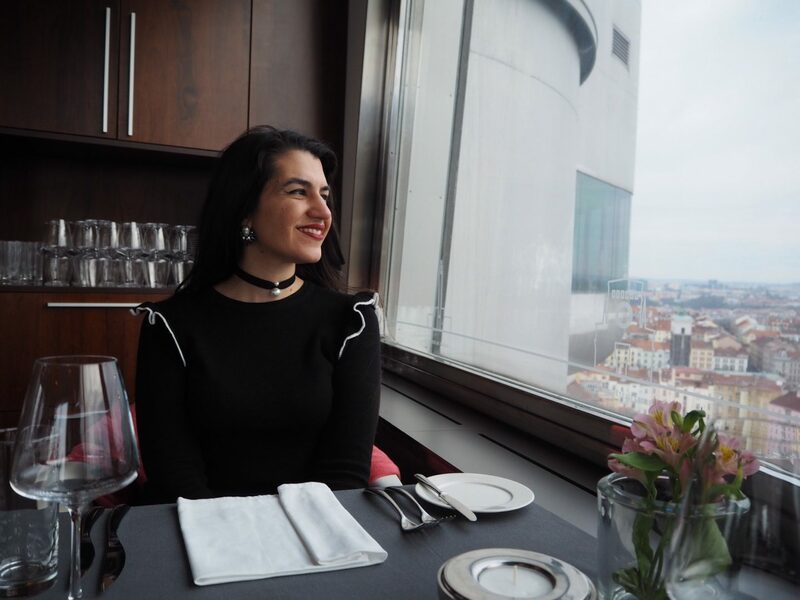 Have a luxe dinner with a view: I blame London for my newfound love for sky-high restaurants – but this love can be applied to any city in the world! 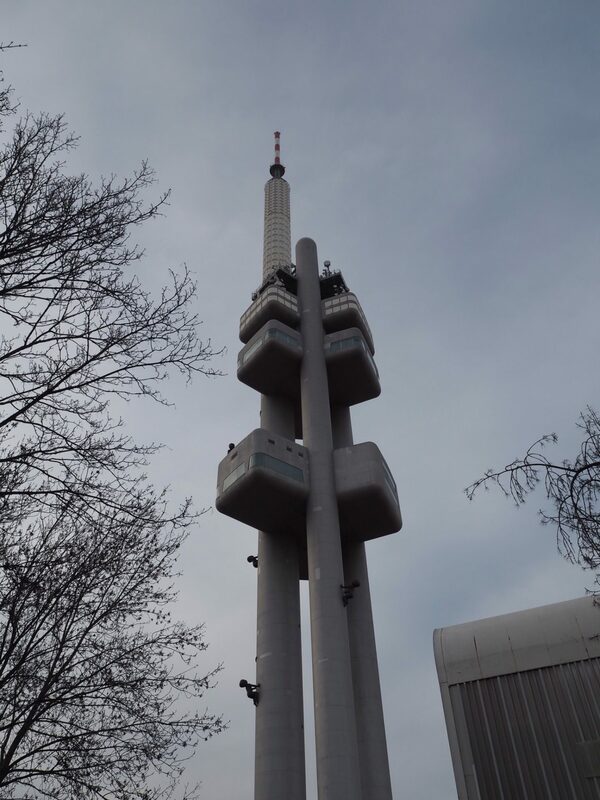 Luckily for me the bf surprised me with a delicious dinner at a lovely restaurant called Oblaca, located in the somewhat controversial Žižkov television transmitter tower. The outside of this building, which features creepy crawling baby sculptures by the aforementioned David Cerny, may look disconcerting, reminiscent of futuristic/apocalyptic 70’s films (or the relatively recent film ‘High Rise’), but like people it’s all about the inside! 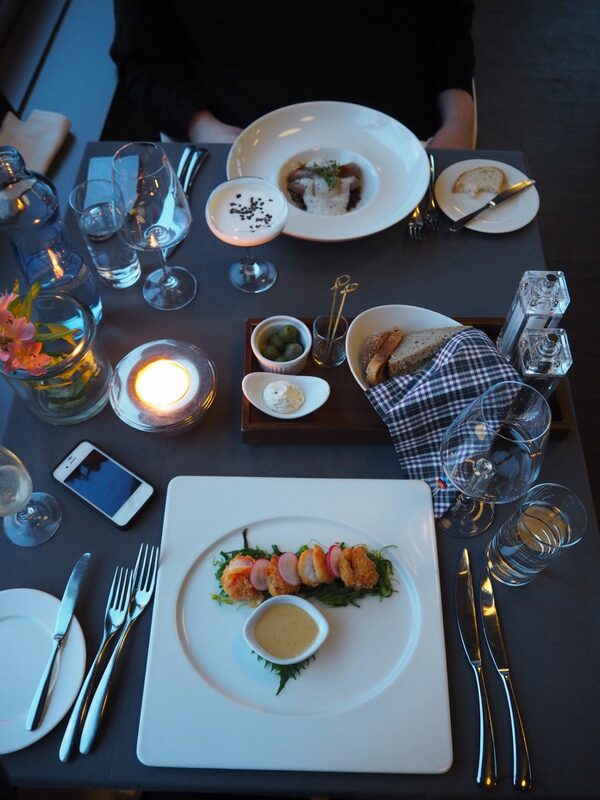 We got to sit right by the window and witness the sunset, together with a great dinner and some drinks. It was pricey but, given my experience, worth it. 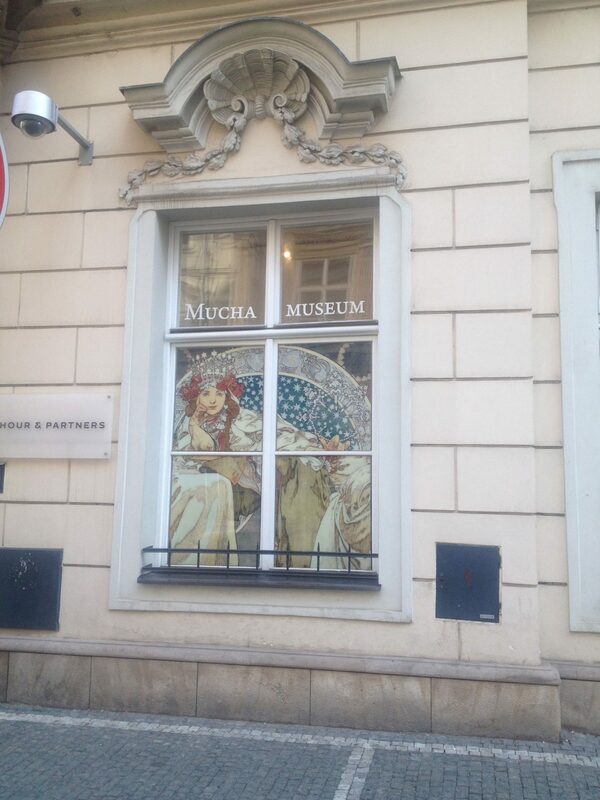 Visit the Alphonse Mucha Museum: Alphonse Mucha was a successful Czech Art Nouveau artist and graphic designer in the early 20th century. 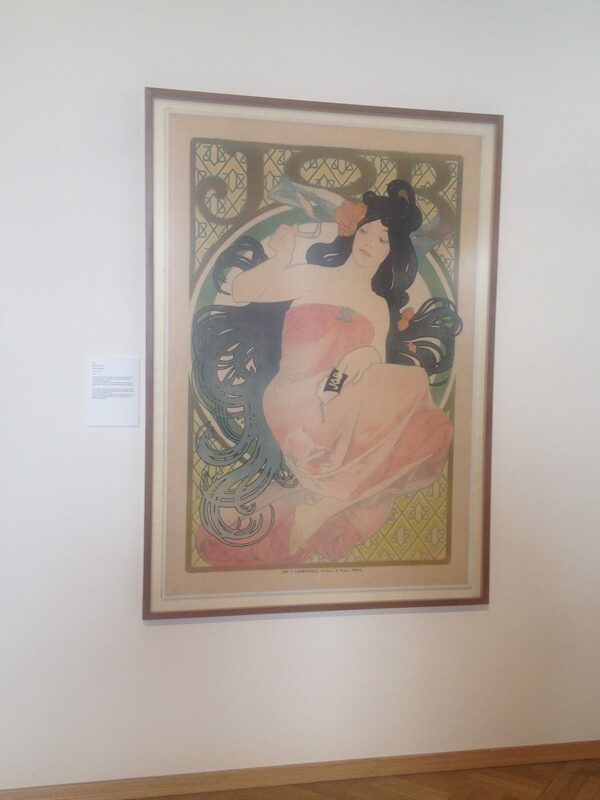 Famous for his beautiful theatre posters and ethereal women, there is a lot more depth to his work than what may be seen at a glance. 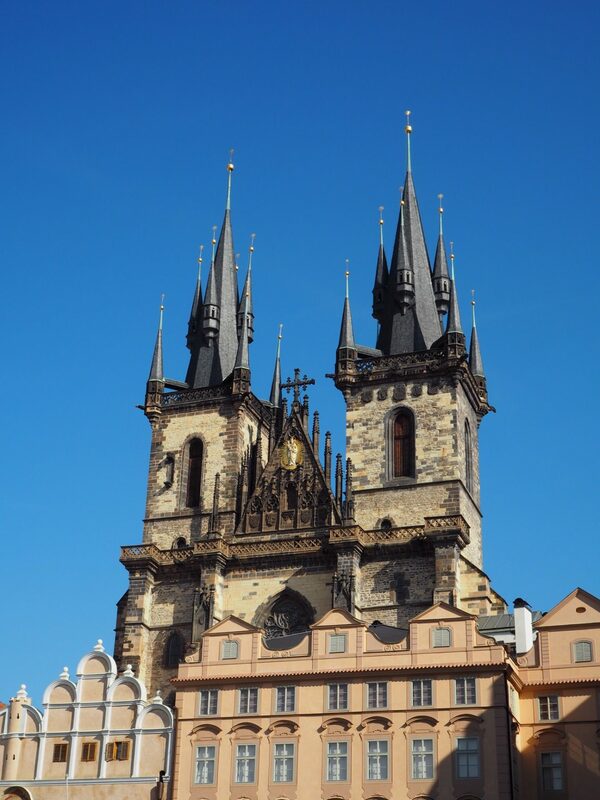 Arrested by the Gestapo after the German troops occupation of Czechoslovakia, he died in Prague in 1939, not long after being released and perhaps weakened by this event. Inevitably, his tragic death makes his legacy even more important and somehow painfully relevant. 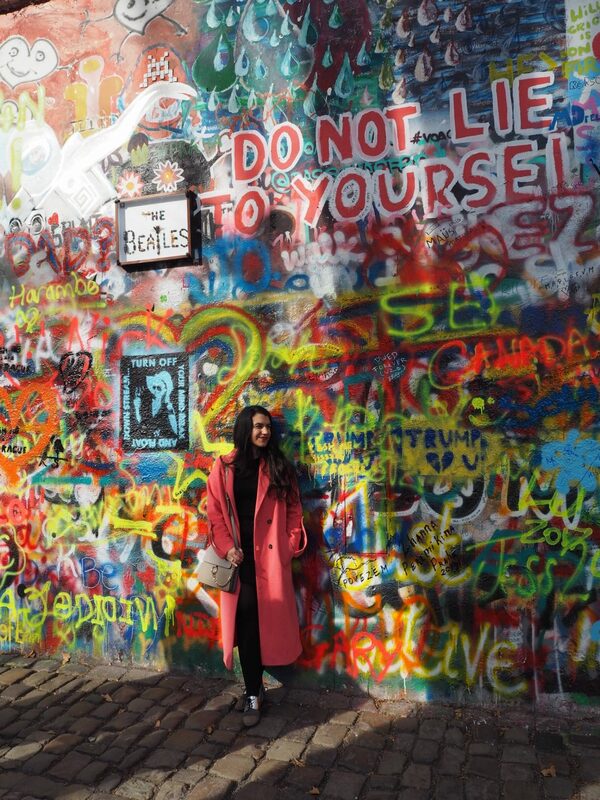 Get that picture with the John Lennon wall: Ignorant me had never heard of this wall until our trip to Prague was happening. 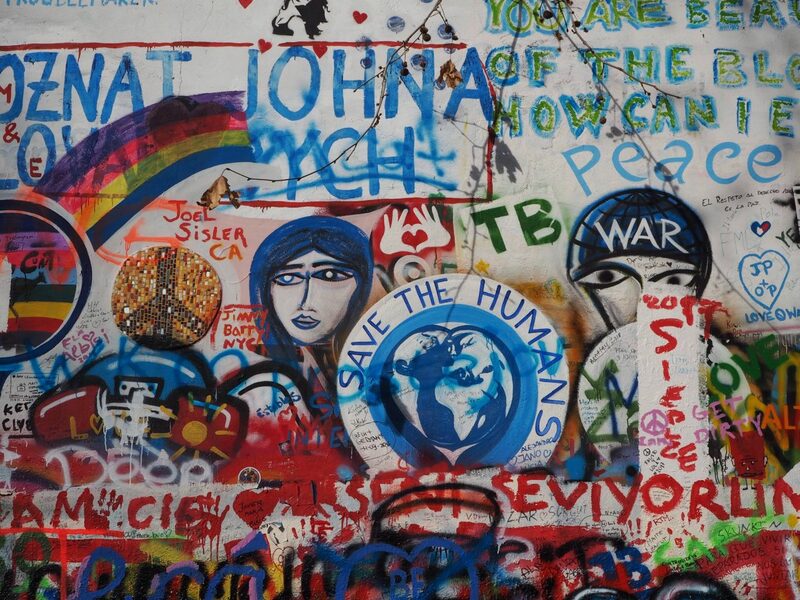 The name is itself is self-explanatory – a mural that has since the eighties featured graffiti inspired by the famous singer, it is unsurprisingly covered in symbols, messages and imagery that convey peace, love and other socio-political matters. 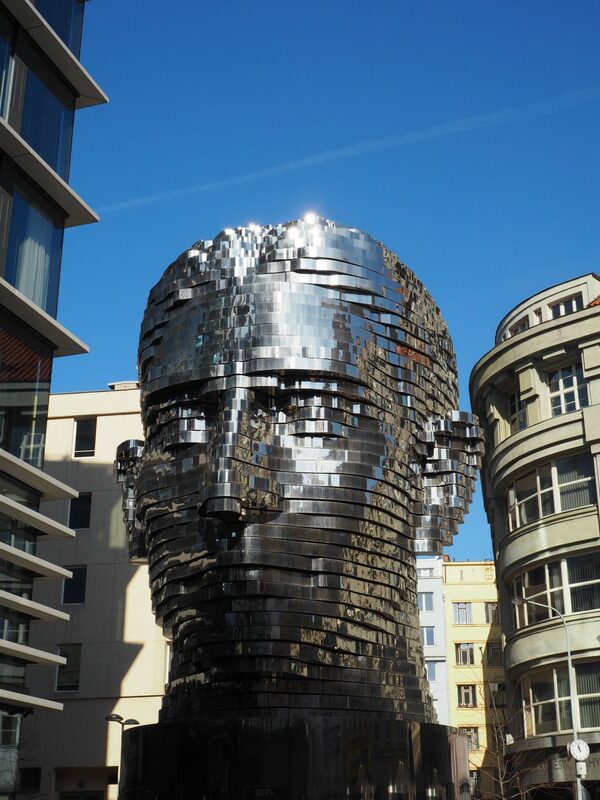 As a street art lover, not having a cliche pose in front of this vibrant piece of art would have been a crime. Other things worth doing? 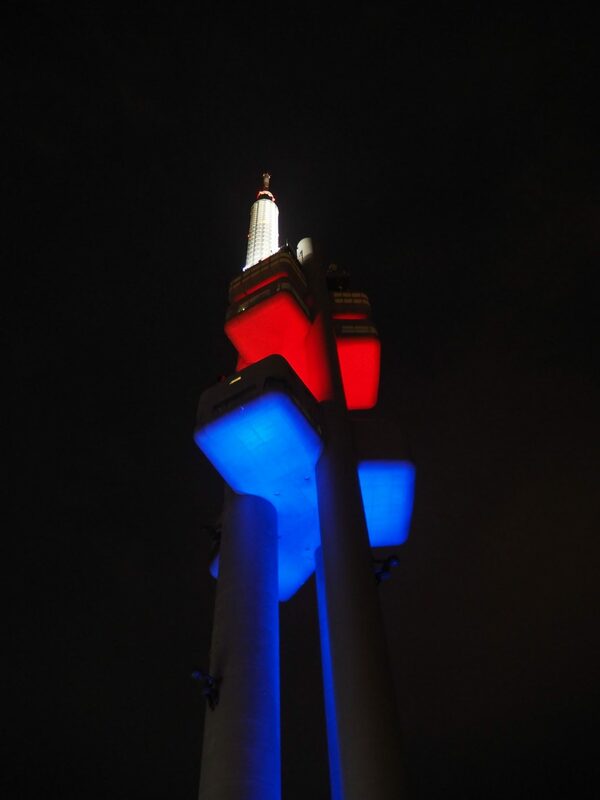 Walk around the city at night – it obviously doesn’t loose any of its magic. Explore its jazz scene. 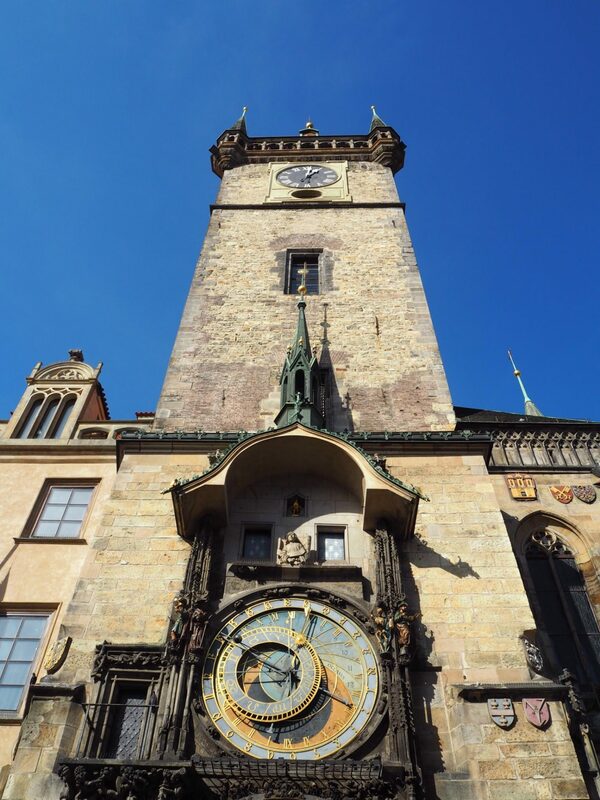 I suppose the “Walk of the Apostles”, a clockwork hourly show of moving figures at the Prague astronomical clock is worth a watch – it is, after all, the third oldest astronomical clock in the world and the oldest one still operating. 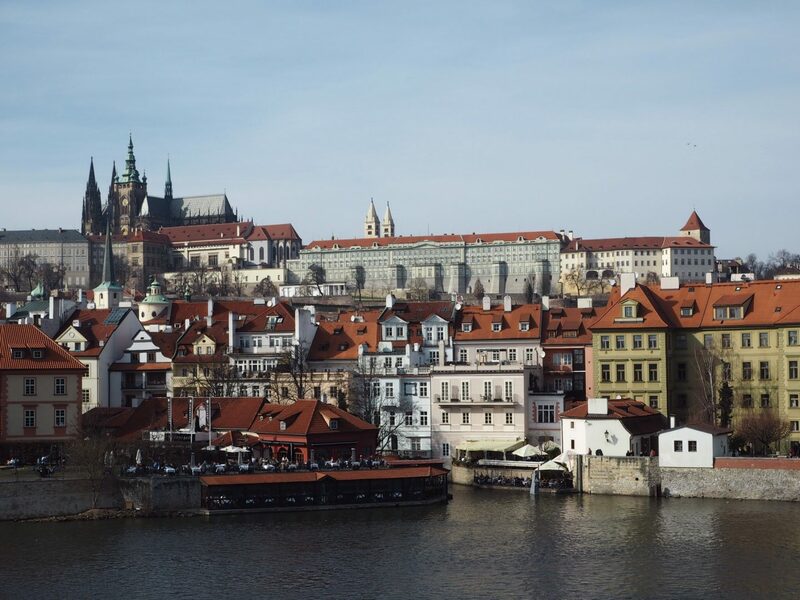 The Prague Castle complex is pretty damn interesting and photogenic too. I would have liked to see Golden Lane (which is in the castle complex), but accidentally had already bought a ticket that did not include an entry to this medieval street and did not want to pay another fee on top of that. Next time! I hope you found these tips useful or at least got something out of this little trip diary. 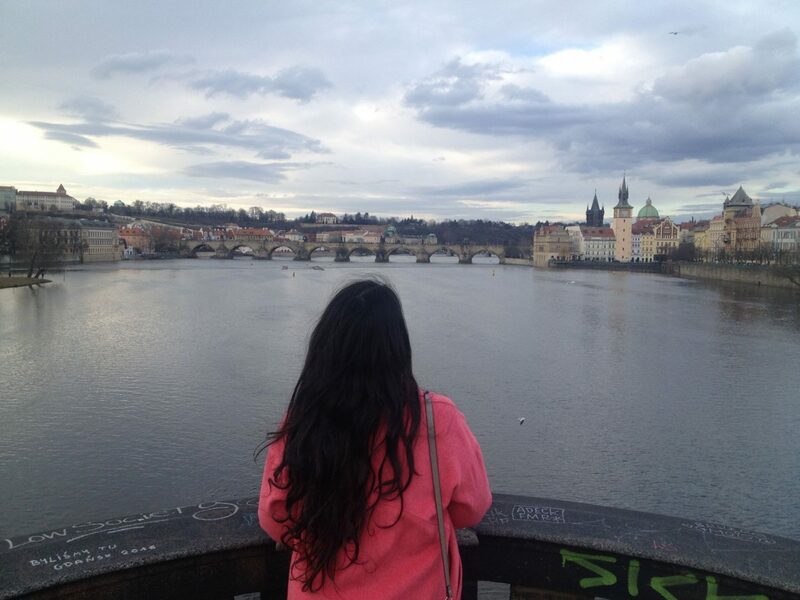 I want to go back one day, and see not just more of Prague but also other parts of the Czech Republic itself. 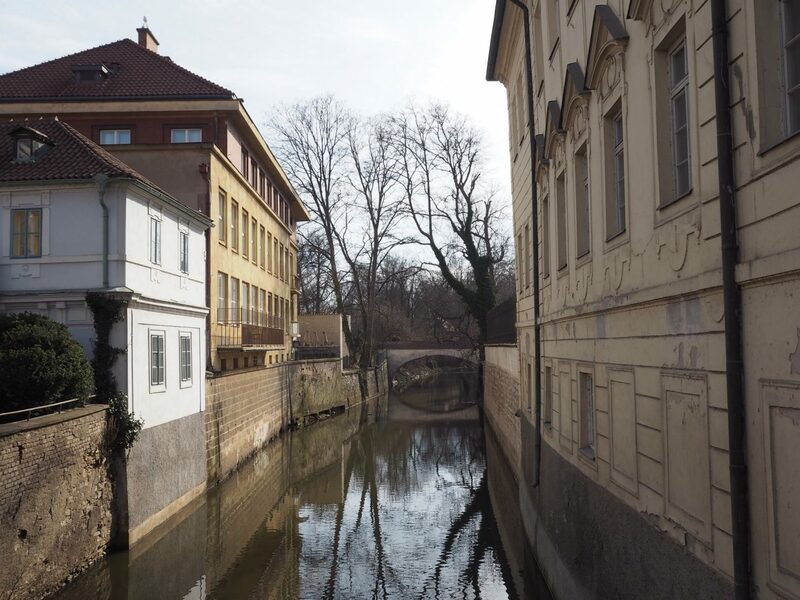 But in the meantime, fingers crossed I’ll be sharing my more recent musings of yet another European trip super soon… stay tuned! Pictures taken by the me and the bf on March 4th and 5th, 2017.